We are still the Digestive Disease Consultants Orlando or DDC, Orlando, but we have subtitled the DDC homepage with “the Colonoscopy Doctors in Orlando,” to paint a sharp picture of our expert specialization in this ever-growing field of diagnosis and treatment. Constipation strikes everyone at different times in life. But when the Colonoscopy Doctors in Orlando diagnose IBS with Constipation, it means the patient is suffering much more than an occasional bout of cramps and hard stool. Irritable Bowel Can Cause Severe Distress. In our previous blog article, we explored the problems associated with IBS and diarrhea. However, there is another kind of IBS. It is just as painful and just as limiting. It has been designated IBS-C, Irritable Bowel Syndrome with Constipation. And patients who suffer from it endure chronic or recurrent constipation. In our last scenario, we met Missy in the waiting room of her gastroenterologist. Seated across from her in the waiting room is a tall, stocky, 50-year-old man. He has silver hair and a worried frown. Jim could be handsome if it weren’t for his anxious expression. Currently, Jim is in pain. It is a familiar deep cramping that constantly interrupts his quality of life. He just finished a bathroom session with cramps and constipation. However, he has the feeling he did not completely empty his bowels. Jim’s type of IBS is IBS-C. And as you might guess, the “C” stands for constipation. Abdominal pain is the key component in Jim’s complaints. He presses on his bloated abdomen with his big hand. His symptoms also include problems listed below. Bowel Problems May Occur From Physical or Stress Related Causes. 3. Difficulty or straining at stools. 5. More pain and gas accompanied by nausea. 6. And last but not least, he suffers a constant feeling of being unable to completely empty his bowels during a movement. 7. The variation on this sensation is the vague urge to move his bowels without the ability to do so. As we explained in the previous article, extensive tests must be accomplished before IBS is diagnosed. 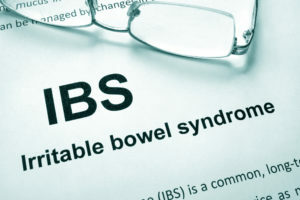 Other conditions that masquerade as IBS must be eliminated first. As you look at the list above, imagine the items arranged as questions. Then, we suggest you keep a diary or journal or notes on your phone. Note the flare-ups and keep track of the foods you eat. This will help the Colonoscopy Doctors find your trigger foods. In this way, you can avoid flare-ups caused by them, just like Missy and Jim strive to do. As we look at our waiting room scenario, we notice a young woman, industriously focused on writing in a small red notebook. She is soft-spoken 26-year-old “Anna.” She is keeping a journal just like the one we just noted above. IBS and Stress: Less Stress is Best! Indeed, Anna’s doctor is probably correct. Stress could be the trigger that has exacerbated her IBS symptoms. Stress from her college class exams and stress from balancing school and family life conspire to make her sicker. In turn, the symptoms cause her more stress. This is because she is constantly on her guard for either diarrhea or constipation. 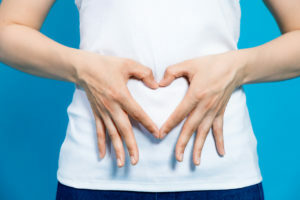 Experts have stated, “IBS can result from a very intricate biological interaction between the brain and the gut” They continued, “this is why addressing psychological and emotional stressors that may be associated with IBS symptoms is the first step in understanding IBS triggers.” Read more from the experts at Irritable Bowel Syndrome.net. On Special Holidays, Look for Low-Stress Activities. Anna’s doctor has prescribed a light dose of antidepressants for Anna. This is not because of depression. Jim has likewise, been on a light dose of antidepressants. “Antidepressants are commonly used as a treatment option for patients with irritable bowel syndrome with diarrhea (IBS-D). 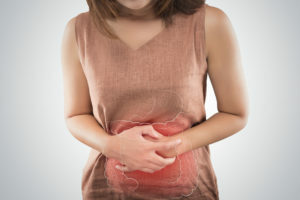 Some antidepressants have also shown to be effective at low doses in patients with IBS-C.” Both patients seem to be having some success with this medicine, especially during stressful periods of their lives. 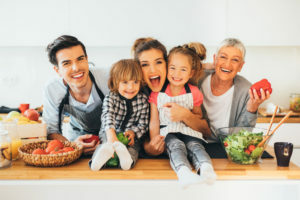 However, Missy disliked the antidepressants intensely, and she partnered with her doctor on her customized action plan to include more reliance on diet than on this type of drug. There are several categories of antidepressants that are shown to be effective. Read all about them in a very nicely written article at this convenient online resource. Antispasmodics, Laxatives, Antidepressants, Antibiotics, And behavioral therapy. And Last, But Certainly Not Least, Diet. Food, itself becomes a treatment at this level. And it may become an integral part of a multi-faceted treatment plan. On the one hand, there is a conservative, traditional approach. Happy Valentines Day. Healthy Food instead of Sugar is advised by the Colonoscopy Doctors in Orlando. Then, on the other hand, there is also the unusually spelled “Fodmap Diet.” And We’ll be writing about both of these diet options in our next blog. The Colonoscopy Doctors at DDC in Orlando take this moment to wish friends, colleagues, patients and blog readers a Happy Valentine Day. 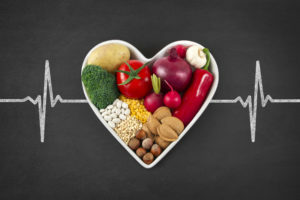 Celebrate your happier, healthier digestive system with heart-healthy foods and 2.5 hours more active exercise per week.